The following is the transcript of a talk that I was asked to give at the Weavers Community Forum Iftar gathering on Sunday 12 July 2015. Although the talk did not happen due to time restrictions and late coming of guests, I am sharing it here for all to benefit insha Allah. In the name of Allah, the Beneficent, the Merciful. All praises are due to Allah, May the Peace and Benedictions of Allah be upon the Prophet Muhammad, his family, his companions and all that follow in his footsteps until the last day. The first thing to say about Ramadan and Fasting is that it’s not something new. It has been around since the early times and this is why Allah Almighty says ‘as they were enjoined upon those before you’. Moses did not eat bread or drink water during the 40 days and 40 nights he was on Mount Sinai receiving the law [Exodus 34:28; Deuteronomy 9:9]. Jesus fasted 40 days, [Luke 4:2]. 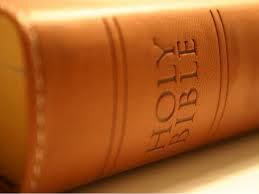 Elijah fasted 40 days, [1 Kings 19:8]. And there are other instances of fasting mentioned in both the Old Testament and the New Testament that shows that fasting was practiced by the religious traditions that preceded Islam. Fasting is practiced in one way or another by all major world religions and we believe this to have originated from the command of Allah Almighty as stated in the Qur’an. For me, Ramadan is about Devotion. It starts with the Devotion to Allah and His Messenger, then the Devotion to the Self, then Devotion to the Family, then Devotion to the Community and by extension Devotion to the Ummah of Muhammad (peace be upon him) and all of Humanity. Our Devotion to Allah is demonstrated through our daily acts of worship. Through our fasting in the day and our prayers in the night. Through our supplications and Du’a. Through our Dhikr and remembrance. Devotion to Allah is shown through us giving up the permissible eating and drinking during daylight hours only because Allah told us to. We can have food and drink presented before us, but we will not touch from it only because Allah has commanded us not to touch it until the sun’s set, that is Devotion to Allah. 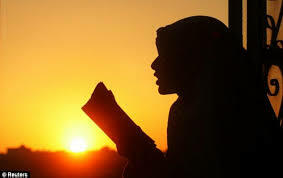 In the end, the ultimate purpose of fasting is to worship Allah and to become God-Conscious. Because the Self is prone to evil, this is why Allah has given us a time like Ramadan, to purify it of its evil tendencies and make it a God-Conscious self that is inclined to righteousness and goodness. Devotion to the Self is demonstrated through the way in which we train our bodies and our souls the virtues of abstinence, the virtues of going without, the virtues of self restraint and so on. 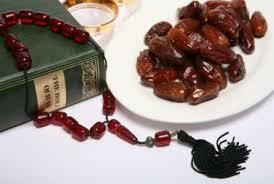 The act of fasting has physical benefits to the body. 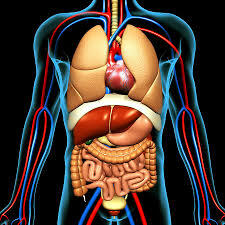 It has a cleansing effect on the body by the process detoxification. It aids weight loss, reduces blood pressure and helps lower cholesterol. It gives the organs, particularly the stomach and the liver a break, allowing it time recuperate during the fasting hours. Fasting in Ramadan is like giving your body a full service once a year, just like you would with your car or your boiler at home. Michael Mosley made a BBC documentary documenting the benefits of fasting. There is also this amazing article titled ‘What 30 Days of Fasting Does to Your Body’ on ilmfeed that shows what happens to the body in the different stages of the fast. 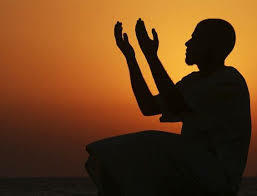 The long prayers in the night, such as the Tarawih and Tahajjud prayers, can also have physical benefits too because of the physical movements involved in the prayers and how many of the postures in the prayers are very similar to some of the famous yoga postures practiced by those that do yoga exercises. Devotion to the Family is reflected in us eating together, praying together and sharing food and drink with one another. Everyone in the family gets involved in Ramadan, even the young children. Many a times we see the very young children wanting to fast with their elders and siblings and friends. Parents have to persuade them by saying things like “you can fast until lunch time” or that “you can fast in between meals” to make them feel like they are taking part. Some families hold Iftar gatherings and invite family members over for Iftar on a rota basis so that the extended family get together in each members house at different days. Others will hold Iftar gatherings with a ‘bring a dish’ theme so that the cooking and food preparation is not put on one family only but shared by all. Devotion to the Community is demonstrated through gatherings such as the one that you are attending today. Ramadan is a time when communities get together and hold events and gatherings. It is a time when we get together and pray. 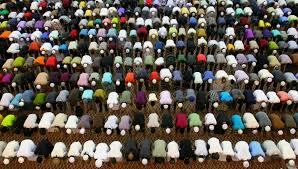 If you go to the Mosques in Ramadan you will find them buzzing with worshippers. 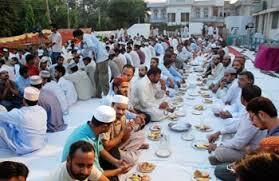 At the time of breaking the fast, people bring food and share it with their fellow worshippers in the Mosque. Devotion to the Ummah of Muhammad (peace be upon him) and Humanity at large is shown through the immense acts of volunteering and charity that is done by Muslims in this month. We donate millions of pounds to charities to help those less fortunate than us. This is also the time when most people pay their Zakah, which is one of the fundamental pillars of Islam, and is a 2.5% payment on one’s savings and investments. We also donate another small amount called Zakat Al Fitr to the poor so that they can partake in the Eid Day celebrations with the rest of the Community. In addition to the above we organise charity Iftar gatherings, charity car washes, charity cake sales and many other activities whereby whole communities get together in doing something and contributing something to help those that need it. It is a time when we empathise with the poor and the needy by going without and feeling the hunger and thirst that they feel on a daily basis. This is because Ramadan teaches us to appreciate what we have and show gratitude by giving some of it to those less fortunate than us. Ramadan is more than just fasting and giving up food and drink. Observed correctly, it can bring many benefits to us as individuals and to society at large. But ultimately it is about worshipping Allah and fulfilling His Command. When you have food and drink to eat in front of you, but you don’t eat or drink from it, until the sun has set, that is Taqwa! When you stand in prayer for long periods in the night, even though you are tired and your legs may be aching, that is Taqwa! When you knock on your elderly neighbour’s door, checking that they’re ok, and sharing your food with them, that is Taqwa! When you sign that petition to help raise awareness about issues to help the weak and oppressed here and abroad, that is Taqwa! When you ask the homeless to share in the Iftar with you, providing food and company for those that have no food, that is Taqwa! When you give charity to help build schools, watering wells and homes for the destitute, in countries devastated by wars and natural disasters, that is Taqwa! When you help your parents or your husband/wife in the Kitchen, preparing food for Iftar, that is Taqwa! When you pray for your brothers and sisters in faith, without their knowledge, asking Allah to bless them, that is Taqwa! When you donate new clothes and toys to the Orphan so that they can partake in the Ramadan and Eid festivities with you, that is Taqwa! When you do all of the above and more, solely for the sake of Allah, expecting only His good pleasure and reward. THAT IS TAQWA! So rejoice and join amongst the Muttaqun. May Allah bless us in this holy month of Ramadan, may He forgive our sins and shortcomings, and may He accept from us our good deeds and enlist our names in the list of the Muttaqun – Ameen.